In August four years ago, my family and camped our way up the West Coast all the way to Vancouver in British Columbia. It was a remarkable trip of long miles and forever memories. As is priority for me on all trips, the wine experience was paramount. Happily, we spent two remarkable days in the Willamette Valley tasting our way through McMinnville, Newberg, and Dundee. We were captivated by the scenery, the people, and the incredible wine. So much so, that we declared to our children that we would like to move to the area. Cue the tears from two small children – and we still live in Southern California. However, my penchant for Oregon wine has grown even stronger. I can pour a glass and immediately transport myself to the deck of Alexana or Colene Clemens. Oregon’s wine popularity and recognition has exploded in recent years. With several incredible vintages of late and its never-ending comparison as an affordable Burgundy, Willamette Valley wines are no longer just consumed by Pacific Northwest residents. Oregon has seen a bounty of foreign investment and others clamoring to stake their claim on this plentiful wine region. Willamette Valley is most widely known for its pinot noir; however, several vintners are branching out. Recently, from the comfort of my couch and away from the smoky outside air, I tasted my way through a few unique Oregon pours. No joke. All those varietals are in this bottle. I was leery, but found myself really enjoying the light sweetness, tropical flavors, and crisp finish. It reminds me of the dinner I call “freezer night,” where we cook odds and ends, but everyone ends up happier than if it is a cohesive, planned meal. Pair with spicy food to temper the sweetness and spotlight the riesling. Made by Sokol Blosser, whom I love for their sustainably grown pinot noir and estate rose of pinot noir. Huh? A “white” pinot noir? Left Coast started this is an experiment in 2011, but it is now a demanded staple in their line-up. The fruit is crushed at super low temperatures keeping the skin color at bay, then fermented in stainless steel and aged on the lees. For me, it had the body of pinot noir, but the crispiness I like of a white wine. I was perplexed, yet happy! Pair with fresh salad featuring goat cheese, salmon and peaches. 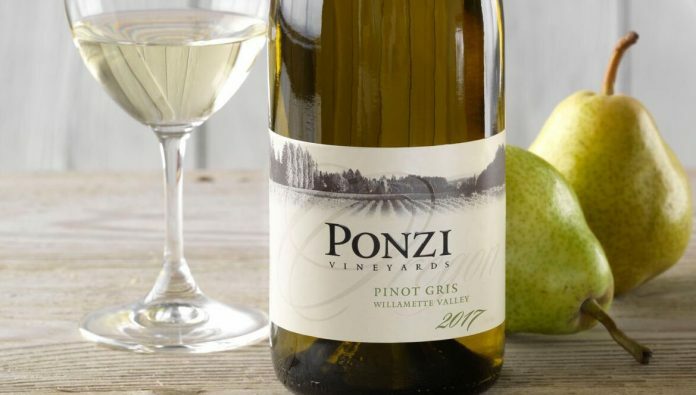 OK, so this isn’t such a varietal stretch as Ponzi Pinot Gris has been renowned for a couple of decades. But, this was my very first pinot gris experienced and it just is so tasty. Pinot gris is a nice break from the high acid of a sauvignon blanc. I appreciate the Stelvin closure (screw cap) for easy beach and sunset access. 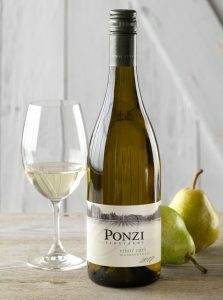 Purchase at Hi-Time Wine Cellars or online at ponziwines.com for $19.